Studies of the history of Hungarian art collections displaced during the Second World War have reached contradictory conclusions. Ekaterina Genieva examines the evidence for two differing versions of how items came into the hands of the Nizhny Novgorod museum. Oil on canvas, 92,5x47,3 cm. Collection of Baron Mór Lipót Herzog. This catalogue is the second to be compiled under the ‘Heritage Revealed’ project. The purpose of the project is to publish information on art objects and other valuable cultural property lost as a result of the Holocaust and currently being kept in Russia. This publication covers a group of paintings and sculptures from pre-war Jewish collections in Hungary that are now stored at the Nizhny Novgorod (formerly Gorky) State Art Museum. The ‘Hungarian Collection’ of the Museum includes 151 works of painting and sculpture, four incunabula, and a selection of 21 sheets in a portfolio. But the present Catalogue contains only 52 items, believed to have been seized by the Nazis from Hungarian Holocaust victims. Descriptions of the rest of the paintings as well as of the books from Baron Kornfeld ’s collection lie outside the scope of this publication. Studies of the history of Hungarian art collections displaced during the Second World War have reached contradictory conclusions. The confiscation of treasures by the Third Reich has been fairly well studied and documented, although when it comes to documentation concerning the transfer of Hungarian valuables to the USSR and the United States after the end of the Second World war, things look less clear. At the same time, there are Hungarian art objects listed by some people as lost that were discovered long ago. Certain discrepancies become obvious when one compares these two versions of events. Hungarian cultural losses, like those of other Central European countries, were enormous. Paintings, sculptures and other works of art were plundered from the National Fine Arts Museum and from private collections, including some as remarkable as those of the Herzog family, Ferenc Hatvany and Moric Kornfeld. A considerable part of the looted treasures transferred to Germany during those years was returned to Hungary, including almost all items belonging to museums. The return by the United States in 1978 of Hungary ’s greatest relic, the Crown of Saint Stephen, in a way symbolized the end of this process. But for a long time the fate of the greater part of the private collections remained obscure. Under the ‘people’s democracy’ regime in Hungary, officials used to put all the blame for the confiscations on the Nazis, primarily on the special troops under the command of Adolf Eichmann, actively supported by the Szalasi government after the coup d’état and occupation in 1944. A number of studies are dedicated to this plundering. Yet, even in those times many people supposed that after Budapest was taken by the Soviet troops, cultural valuables kept in the bank depositories in the capital might have been seized along with other bank assets. The most radical version of these events has been put forward by Laszlo Mravik, a Hungarian researcher who called his 1998 catalogue of lost Hungarian valuables ‘ Sacco di Budapest’ – a reference to the famous Sacco di Roma of 1527 when the forces of Emperor Charles V plundered Rome. In his extensive preface Mravik openly declared ‘the Soviet Union and its successor’ (that is, Russia) to be responsible for the losses sustained in Hungary. The catalogue also contains a number of documents attesting to the transfer of treasures from Budapest to the USSR. But Mravik’s catalogue does not trace the fate of those 151 paintings and sculptures from Hungary that were moved to the USSR, even though their history has been established. Of course, 151 works of art out of 80,000 officially listed lost items are just a drop in the ocean. Yet their fate is significant and, perhaps, shows that sometimes things are not quite as simple as Mravik would have us believe. Documents extant in the archives of the Nizhny Novgorod State Art Museum and the Grabar All-Russia Art Restoration Centre provide a basis for objective study. There are various oral and sworn written statements as to the wanderings of the Hungarian paintings (let us call them ‘paintings‘ for short, bearing in mind that there are also eight sculptures) in the years immediately after the war. The first relevant official document referring to the collection is dated 3 December 1951. This is the Act of inspection that took place under the supervision of N. Slonevsky, Director of the Pushkin State Museum of Fine Arts. The Act states: ‘In February 1946 … the Museum took the collection of paintings, sculptures and books for temporary safekeeping from a certain army unit. There are no proper documents concerning the transfer of the collection to the museum. Nor were any acts drawn up testifying to the receipt of exhibits ‘. Eyewitnesses to these events confirmed that it was the 49th Army that arrived in Gorky from Germany with the treasures in the autumn of 1945. Like all the ‘trophy’ treasures in the USSR, these works of art brought by the 49th Army were segregated into special collections. The delay in registering the collection was explained in the following way: ‘As far as museum officials remember, the military men refused to sign any documents whatsoever ’. On 7 December the condition report was compiled; on 20 December another document was signed confirming transfer of the collection to the custody of the museum ’s chief curator for safekeeping. It contains the full list of 162 works of art, identified very cursorily; one of the most famous Manets, < span class="tIlalic">Mary Laurent with a Pug-dog, was listed simply as ‘portrait of a woman‘. Meanwhile the Pushkin Museum did not limit itself to helping to classify the collection; it also obtained a Ministry of Culture order concerning its transfer to Moscow. We have not seen the original order, but we have the supplement to it, the complete ‘List of the works of art held in the special collection of the Gorky State Art Museum to be transferred to the Pushkin State Museum of Fine Arts ’ (both the order and supplement are dated 25 January 1955), and it tallies with the list of 1951. It was at this point that the Gorky Museum made a retaliatory move. Under the statute in force, it was not possible to transfer to another institution works of art that were undergoing restoration. On 18 July 1955, the Gorky Regional Department of Culture sent an application to the Central Research Laboratory of Art Conservation and Restoration (now the Grabar All-Russia Art Restoration Centre) for the paintings from the special collection to be taken for restoration. After the application was approved in April of 1957, 143 paintings and eight wooden sculptures were transported to Moscow and received by the Laboratory on 6 August 1957. The systematic, that is to say unhurried, work of identifying of these art objects was completed by 1966 when their true value and provenance were understood. I, Chernyshev Mikhail Alexandrovich, a merited pensioner living in Gorky, [address], served during the war in the rank of Major in the Political office of the 49th Army which made its way from the town of Roslavl to the river Elbe, northward of Berlin. In August 1945 the 49th Army was relocated to Gorky where it formed the base for the Gorky Military District. The Army’s route lay through the territory of the Soviet Union, Poland, and East Germany, both during military actions and when it was returning to Gorky where it was stationed. The Army brought to Gorky, together with its own belongings, crates containing paintings, sculptures and musical instruments. All these – paintings, sculptures and musical instruments – the Army donated to the city of Gorky. The assignation order was given by Lieutenant-General Sychev, a member of the Army Military Council who later became a member of the District Military Council. I know that the paintings and sculptures that were donated to the city were only provisionally deposited at the Gorky Art Museum. I do not know exactly how the Army came into possession of the paintings, but what I do know is the following. Some division or unit (I do not know exactly which one) reported to the Army Headquarters that a crate packed with paintings and sculptures had been found in the neighbourhood of their encampment. The Army was situated in Germany. Army Headquarters then ordered the capture of this abandoned property that had apparently been looted by the Nazis and packed for evacuation. Thus, the Army came into possession of this property and took it to Gorky, as all this happened just before the Army ’s return to Gorky. At the Central Restoration Laboratory, examination of the labels attached to the paintings made it possible to ascertain the identities of former owners. The work of attribution was headed by A. Zernova, Deputy Director of the Laboratory for Research, while an outstanding art historian Andrei Chegodaev, long-time keeper of the Special Collection at the Pushkin State Museum of Fine Arts, was invited as a consultant. Proceedings of the consultations held at the beginning of September bear corrections in Chegodaev ‘s handwriting and his signature. All his notes deal only with matters of attribution and an evaluation of the work ‘s artistic merit. The results of this research were compiled in a memorandum addressed to the Deputy Minister of Culture of the RSFSR. (It is now kept in the archives of the Grabar All-Russia Art Restoration Centre and dates from between late September and early October, 1966). On the basis of ‘published facts’ (that is, books by J. Levai and R. and M. Leydewitz), the memorandum holds Rosenberg ‘s Einsatzstab and Eichmann‘s staff clearly responsible for the plunder of the paintings. It was specifically mentioned in the memorandum that ‘at the beginning of 1945, a part of the collections belonging to Hungarian museums was removed from the country. The trucks had reached only as far as Harz and later were sent back to Hungary, but a certain number of works of art had disappeared. ’ To determine the future of the collection, it was proposed that we research the lists of Hungarian losses and Hungarian legislation relating to the nationalization of cultural valuables and to the rights of Hungarian emigrants to their inheritance. Among the supplements to the memorandum were ‘List of art objects of exceptional value’ and ‘List of paintings from the special collection with the names of their owners’. The first list of all the sculptures and 25 paintings included such well-known works as Saint James the Greater’ by El Greco (mistakenly called Christ), Dreaming Mariette by Corot, Mary Laurent with a Pug-dog by Manet, paintings by Goya, Renoir, Menzeland so on. The majority of paintings, however, had no attribution. This list does not include works by Hungarian artists such as Mihail Munkcz. The list of owners included 15 names (we quote them here as they are mentioned in the document): Baron Ferenc Hatvany (four paintings), Baron Andre Herzog de Cset (two), Count Gyula Andriess (three), Dr Dezs Szeben (four), Laut Szedelmeyer (two), one each from the collections of Antony Hrer, Laszlo Karolyi, Laszlo Laub, Nador, Reiti, Biehn, Manfrlin?s Gallery, Marcell Nemes, and Miklos Andor. No other owners had been identified by that time. 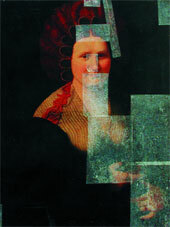 In 1972, 15 paintings were returned to Hungary by order of the Ministry of Culture of the USSR. In November, 1992, the Russian Government ordered the return of two more paintings: A Model Against Blue Drapery by Istvan Csok and Portrait of a Man in an Armchair by an unknown Hungarian artist. Between 27 February and 16 July 1995, eight works from the collection of the Nizhny Novgorod Museum were exhibited in the ‘Twice Saved’ exhibition at the Pushkin Museum of Fine Arts in Moscow. This Museum still retains five of the most valuable works of art. In 1996, 34 paintings and six sculptures were returned to Nizhny Novgorod. Twenty paintings and three sculptures from the ‘Hungarian Collection‘ were exhibited in ‘Masterpieces of Western European Art’ that was held from 31 August to 25 November 1996, under the aegis of the Ministry of Culture of the Russian Federation and with the support of the Regional Administration of Nizhny Novgorod. More recently, joint efforts by Hungarian and Russian experts have permitted more accurate attributions of the paintings and introduced clarity into the lists of both paintings and their owners. For instance, now nine (not four) paintings are ascribed to the former Hatvany collection. Meanwhile, in Hungary new information about which valuables were deposited for safekeeping in the Budapest banks came to light. The Hungarian representatives expressed their suspicions that some paintings from these lists might be found in Nizhny Novgorod; this guesswork became grounds for their assertion that paintings confiscated from banks in the capital were brought to Nizhny Novgorod directly from Budapest. Laszlo Mravik became one of the main proponents of this version by identifying the ‘Nizhny Novgorod’ paintings with those requisitioned by the Red Army in Budapest, with minor reservations in respect of the Herzog collection and some parts of Hatvany ‘s. After his catalogue was published, this opinion became the official position of the Hungarian delegation at the negotiations carried out within the framework of the Russian –Hungarian Working Group activities on adjustment of mutual restitution claims. On careful examination of all available materials, it is now evident that Mravik‘s version is far from proven. It is not in question that the paintings were brought to Nizhny Novgorod by the 49th Army. Mravik who saw the affidavits or accounts by the two officers and was about to publish them says that they are of a relatively late origin and seem to have been manipulated, or at least misinterpreted. This latter remark is rather obscure. If the statements or affidavits are true, they can be used in only one way: to prove that the pictures were brought from Germany and not from Hungary. The veracity of these statements is proved by the very fact of their existence. It was well known in Gorky that the pictures were left there by soldiers. It was also known that the location of the 49th Army formed the base of the Volga Military District. It was for this reason that veterans of the 49th army were sought out to explain the presence of the paintings. It is quite probable that Major Chernyshev was simply asked to record his verbal testimony while Colonel Belikov, who outranked him (he was Head of the Officers ‘ Club and after his resignation was appointed Deputy Director of the Opera House), supplied general explanations. It must be said that the affidavits do not give answers to all questions (see below), but they clearly show that the 49th Army had no connection to Hungary. From 24 April 1944, until the end of war it was a part of the 2nd Belorussian Front and participated in the Bialystok, East Prussia and East Pomerania operations. Later the Army was on the offensive north of Berlin and finished the war near the towns of Wittenberg and Demitz. On 3 June 1945, the Army joined the 1st Belorussian Front [from 10 July this Front was called the Group of Soviet Forces in Germany. Apparently at that time it was relocated to Mecklenburg on return from Germany in August 1945. When interpreting the documents drawn up in 1966 one should bear in mind that they were classified as secret and therefore were not designed to deceive the public. Neither document contains anything to suggest that the Germans took the paintings from Hungary. However, the officials were concerned not so much with how the paintings reached the USSR as with their future. It was the Central Committee of the CPSU that made the final decision, and, in its view, had the paintings been taken in Budapest by the Red Army, it would have presented an additional reason to hush up their location and bury the question of their return. Meanwhile, both the Gorky Museum ‘s memorandum submitted to the Ministry of Culture of the RSFSR and the Ministry‘s report to the Central Committee proceed from the assumption of partial restitution of these valuables, and even bringing Hungarian experts into the process. No one would have taken on such a responsibility without being sure that the matter concerned treasures plundered by the Nazis. If the top Soviet echelons had been interested in juggling the facts, they would have been more likely to do it in a way that impeded their restitution. Let us also note that the list of the paintings from Hatvany‘s collection that were in his house (and were not removed by Eichmann‘s Sonderkommando) contains no works found later in Gorky. It is also remarkable that, apart from those in the Nizhny Novgorod Museum, no other paintings from Hungarian collections have been discovered in Russian cultural institutions. If the removal of works of art from Budapest to the USSR had been effected on the scale Mravik believes, it would be impossible to hide them all now. Further evidence is provided by the movements of Vasari ‘s The Wedding Feast at Caana from the Budapest Fine Arts Museum which, in 1944, had been held in the depositories of the Ministry of Finance. After the war it arrived in Canada and was returned by the Montreal Museum of Fine Arts to the Hungarian authorities in 1999. This clearly proves that the bank depositories in Budapest had been broken open long before Soviet troops took the city. Clearly it would be worth searching for lost masterpieces not only in Russia but also in Germany, the United States and other countries with lively art markets. However, a number of questions arise in connection with the documents concerning the ‘Nizhny Novgorod’ paintings. The witnesses‘ indication of where the works of art were found is vague – ‘northward of Berlin’ – which Mravik interpreted as ‘in the vicinity of Berlin’. In fact, what is meant is the bleak countryside around Mecklenburg with no important cities in sight, the land of large Junker estates in one of which the treasures in all likelihood were hidden. Another hypothesis has been offered: at the end of the war the Nazis believed that the province of Schleswig-Holstein was the safest place; they even had an absurd idea that the Allies would agree to allow a separate Nazi state to survive there. Wittenberg – where the 49th Army were camped – is a railway station on the way from Berlin to Schleswig-Holstein. In the post-war confusion the freight car captured in Wittenberg could have been moved to a new place with the Army and examined there for the first time. Still, this hypothesis does not seem as plausible as the first one, and this fact has more implications than meet the eye. According to Mravik, traces of Hatvany ‘s collection were never found in Germany in spite of a careful search. From this fact he draws the conclusion that the collection had never been there. We believe that this is a rather hasty conclusion: it is almost hopeless to search for hidden paintings in such a lonely and thinly populated country without precise directions. Apparently the environs of Rheinberg are one of the likely places to search. On the other hand, some valuables, unfortunately, could have been destroyed in the course of regular bombing while being transferred in freight cars. The lost items from this collection are mostly small statuettes that could have fallen into anyone ‘s hands. We cannot omit another important fact which hinders establishing exactly how the paintings arrived in the USSR from Hungary: about 900 books were transferred to Gorky together with the paintings, including 222 volumes from Baron Moric Kornfeld ‘s collection and, above all, a part of the Sarospatak Calvinist College Library whose catalogue was published recently. It is established that the books from Sarospatak were kept in the Budapest depositories. There were no reasons for the Germans to take them away unless they were automatically packed together with other captured bank assets. On the other hand, it is obvious that both books and statues from Kornfeld ‘s collection would have travelled together. It seems that further investigation should be undertaken in this field. Let us remember that Major Chernyshev mentions ‘paintings, statues and musical instruments’ but says nothing about books. Such are the available facts on the fate of the Hungarian art valuables transferred to Nizhny Novgorod. We do not aim to analyse the artistic merits of the works of art represented in this Catalogue: all the masterpieces have been very well known for a long time and have been introduced into scholarly discussion again by two recent exhibitions, even though many of the captured paintings are not of great value in themselves. We can affirm that by putting together attributions made by experts from Hungary, Moscow and Nizhny Novgorod experts. We present here the most complete information on the artists, subjects and former owners of these paintings. Some new names have appeared – Samuel Glueckstahl, Paul Gordonyi, Jen Hubay, Gyula Wolfner. But we certainly do not attempt to draw final conclusions. Thus, the purpose of this Catalogue is both politically neutral and non-judgemental as well as unpretentious from the point of view of art criticism. Our aim is simply to bring together information on those works of art that indisputably survived the catastrophe of the Second World War in order to inspire other researchers to carry on further investigations.